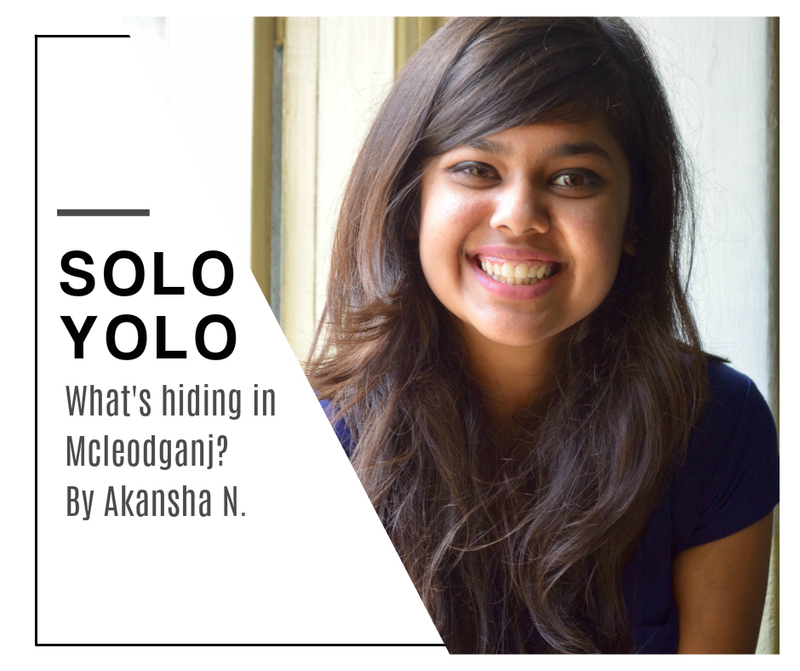 A feature by Akansha N. on 10 reason to visit Mcleodganj. Mcleod Ganj – also known as “Little Lhasa” or “Dhasa” because of the large population of Tibetans residing there – is nestled among the mighty Dhauladhar range in the Kangra district of Himachal Pradesh. Beautiful to say the least, it is one of the most under-rated hill stations of India. This place provides the best to everyone – from solo travelers to couples, all girls, budget travelers, and the adrenaline junkies! Inspired? Read through the awesome Mcleod Ganj holiday package on Tripshelf here! While planning for a trip the most important factor for most of us remains budget. Mcleodganj provides with the best offer without having you shell out a lot from your packet. It is easy to access - you get direct buses from Delhi, or you can also avail the train to Pathankot and hire a cab from there to Mcleodganj. The hotel options there are plenty of people, you get good rooms in mere INR 500, or even less during the lean season. Mcleodganj is infamous – and rightly so – for serving amazing food at the minimum price. You can choose from an array of options. For Italian, there is Jimmy's Italian Kitchen and Nick's Italian Kitchen which literally serves you the Big Chill quality food for really cheap. For the Tibetan cravings, you have the Tibet Kitchen which serves some amazing Thukpa and momos. Khaana Nirvana near the Dalai Lama temple serves food made of only organic ingredients coupled with the amazing view of the mountains. Bhagsu Falls, one of the attractions of Mcleodganj has been my favorite adventure till date. Since it is almost untouched of any external intervention, it has retained the natural raw beauty and you are free to do as you wish. For example, we ditched the conventional route and climbed up the rocks to reach the falls! However, do make sure you are careful and safe. Another of my favorite things about the Bhagsu Falls trek were the string of little cafes on the way. They serve you the quintessential Maggie and bread-omelet coupled with breathtaking views. The cafes are very creatively constructed too – with stone tables and seats, and quirky artwork. Make sure you sit and soak in the view while feeling minuscule at the feet of nature. Know more about an upcoming trip to McLeodGanj here! Shiva Café deserves a segment all for itself! 15 minutes further up the falls, you will find a paradise! It is a beautiful café with yummy food and the view and the experience you get is unforgettable. You can either choose to sit inside and enjoy your food or, like I did, continue your adventure and sit by the falls and listen to the chirping birds and the sound of falls. Breathtaking and an incredible takeaway, right in the laps of Mother Nature. Naddi, a small village located around 4 km from Mcleodganj is equivalent to a drug for nature lovers. Make sure to catch the sunset and/or the sunrise. It is going to be a magnificent experience, and this is the mildest way in which I can put the experience to words. You have to be there, feel it to know it. And, oh, the following pictures were all taken in a span of 15 minutes. Dharamkot is another village located a short walk from Mcleodganj. The trek path is beautiful and the village offers a lot of beautiful views, warm hospitality, and yummy food. Do try out Morgan’s Place for their thin crust pizzas and the view. Trek and Dine is another place to visit. While you are at Dharamkot do not forget to indulge in the famous Bhagsu cake. Specialty which is found nowhere else! If you wish to spend a night in the calm village, you will get a lot of homestay options as well. One of the best things about Mcleodganj is that it is a small town, accessible on foot. This serves a lot of purposes: you save money, you get to interact with a lot of people and learn so much, and the best part is that you can get lost and enjoy your own little discoveries. We discovered this meditation point while walking around in Dharamkot and boy, what an experience it was! The dogs (well, most of them anyway) you encounter here are super sweet and very friendly. We encountered a lot of them and they were sweethearts. Do not be scared of them, and they will be your perfect tour guides. One of the little doggo helped us navigate to the Gallu temple while we were lost. All you need is a little trust and love! For the authentic taste of the Tibetan cuisine, do try the street side momos, noodles, and soups available on the main street of Mcleodganj. You get a variety to choose from, and dear vegetarian friends, do not feel abandoned – there are ample vegetarian options as well! Having ice creams in sub-zero temperature is a delight! Always remember, the soul that doesn't travel doesn't blossom. A soul that doesn’t write never becomes right. Travel on a shoestring. Travel like a king. Your choice. Just make sure you do! Know more about similar trips full of adventure, exploring & making memories!